The Matador range of motors was specifically designed to operate alongside the Maestro drives. Matador DC servomotors are compact with good dynamic performance and excellent smooth low speed performance. The high commutation power allows the Matador to meet acceleration requirements without limiting the current at upper torque and speed values. 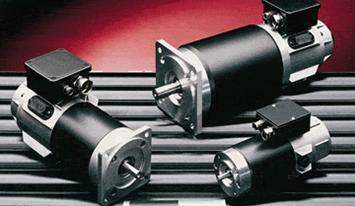 Optimum performance from a servo system is achieved by careful matching of motor and drive. Peak currents are adjustable from 50% to 100% providing excellent flexibility in varying applications.